Prenuptial agreements are becoming increasingly common today — and not just between celebrity couples. In fact, according to a 2016 study by the American Academy of Matrimonial Lawyers, over half of attorneys surveyed have seen an increase in requests of prenups between engaged millennials. While some might say this generation is irresponsible with their spending habits (have you seen the price of avocado toast? ), many are hard-working individuals with student loans to repay and pricey rent to cover. It’s no surprise, then, that their first instinct before tying the knot might be to request a prenup. Essentially, a prenuptial agreement is a signed and notarized document that details what will (or at least should) happen to a couple’s finances and other assets if the marriage is dissolved. It defines ownership, including who owned what coming into the marriage and what the couple agrees to do with any joint assets acquired during their union. This reduces the likelihood of a lengthy legal battle should they ever get divorced. Prenups can be designed with clauses that include more money to a spouse the longer the marriage lasts. A prenup can protect your and your spouse’s assets in case of sudden divorce. Why are millennials getting them? Studies show that the millennial generation is holding off on milestones like marriage and children in favor of advancing their careers. This career-before-marriage attitude means younger people are acquiring more of their own assets that they’re bringing into partnerships — and it makes sense that they’d want to protect those assets. 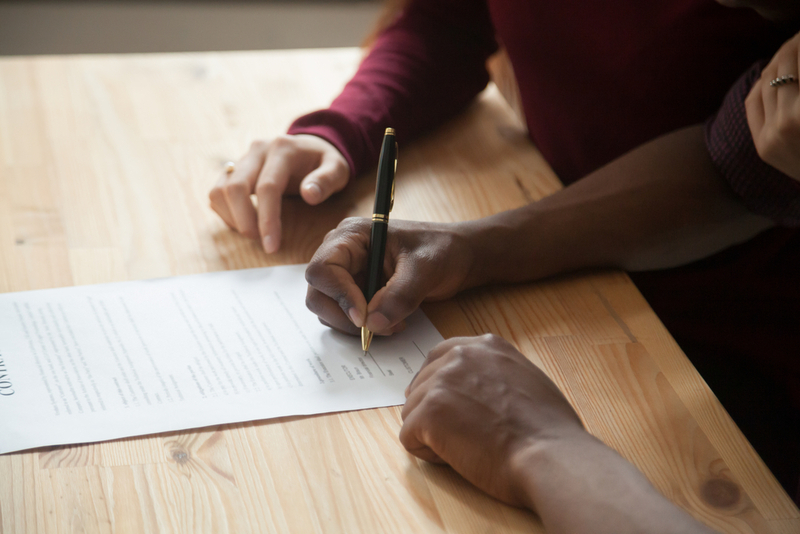 Whether you get a prenuptial agreement is up to you and your partner, but it may be worth a discussion — and the earlier you bring it up, the better. While it might be difficult and uncomfortable to talk about a potential future divorce when you’re planning a wedding, it’s important for protecting both of you in the future if you do decide to part ways.